Attractive and well maintained terraced town house of approx 60 square meters built on two floors, located beneath the castle of Caccamo. The property has a very large public parking area in front and the Baronia Restaurant above it. On ground floor you have kitchen / dining room with a large bathroom shower. 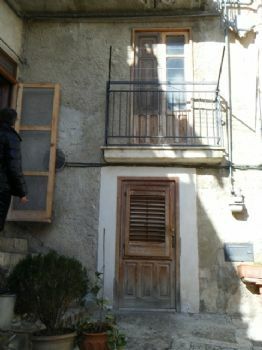 On first floor there are two double bedrooms and a balcony. 1 Kitchen / Dining Room. About Sicily Property Management Brokers.